Here are four tips to help you put God first in your financial decision making. • The skills, talents, and personal qualities that help you earn a living are God-given gifts. • Your job—that is, your ability to earn money—is a blessing (regardless of how you may feel about it on bad days). • Without God, your financial outlook would be much bleaker. If you answered “true” to any of these statements, you’re well on your way to understanding who holds the reins of your finances. Now it’s time to give back to the One who gave everything to you. Jesus wasn’t easily impressed when it came to acts of service. One woman, though, managed to capture his attention and earn his praise without even trying. A God-honoring tithe requires sacrifice. It is not easy to make—nor should it be. The apostle Paul took things a step further, arguing that it’s not just the amount of the gift that matters; it’s the attitude behind it. The passage from Malachi is not necessarily a guarantee of future riches. Blessings come in many different forms, including peace of mind, wisdom, and the privilege of being part of God’s work in the world. But one thing is clear: God promises to care for those who remember him. Some people like to give their entire gift to their local church. They trust church leaders to distribute it as needed. Others take a more hands-on approach, dividing their tithes and offerings among several ministries (including their church) that are close to their heart. If you’re not sure how to allocate the money you give back to God, pray about it. Ask him to make you aware of the needs around you and to guide you in making wise decisions. If your tithing starts to seem rote—or if your motivation starts to falter—spend some time considering how God might use it to make a difference in the lives of others. Don’t think in terms of helping a church or an organization. Think of the people who will benefit from your faithful giving. A subtle change of approach can shift your thinking from How much am I required to give? to How many people can God help with my gift? 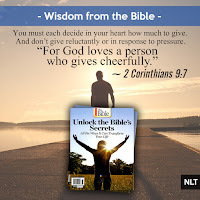 Once you put God at the center of your decision making, you can proceed to the nuts and bolts of crafting a financial strategy to maximize your generosity. 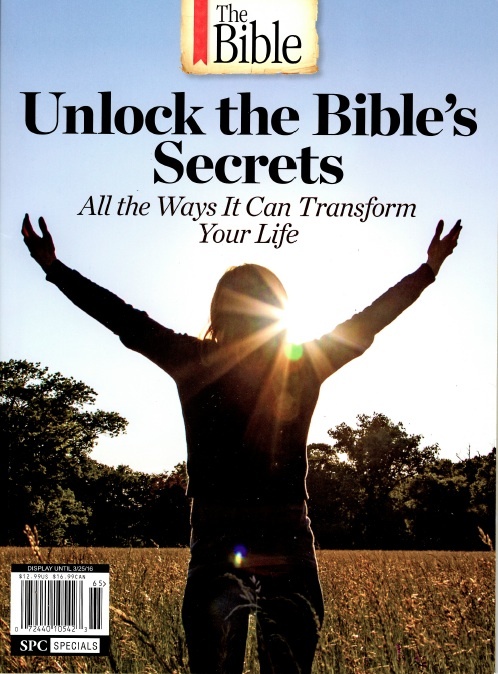 This blog post has been adapted from the special-edition magazine Unlock the Bible's Secrets, which is now available in stores where magazines are sold.